So let’s make a resume of what has been discussed and where did the direction go. We start by relating those two types of font for their quality of being created by one repetitive movement, one single infinite repeated shape. 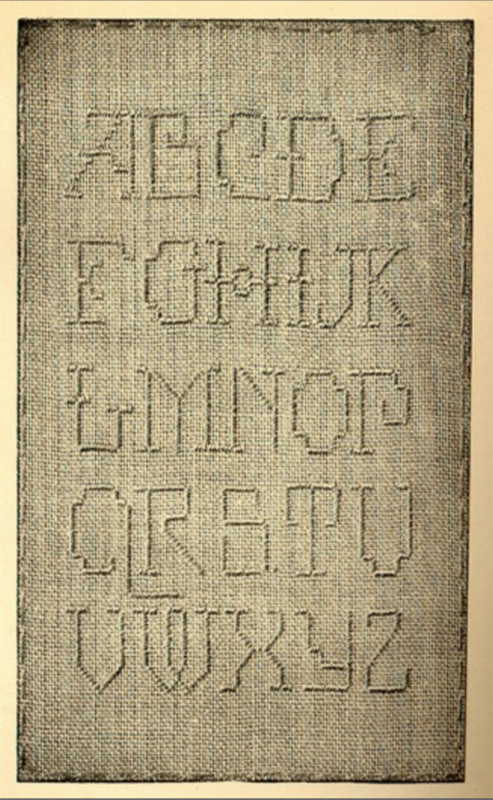 In the thread type, it’s the circle that you make to go through the fabric, while in the second font, the shape of an 8 or infinity is repeated in different sizes in order to fill up all the empty spaces that the letters left. Here are the pictures, the second one is done by Daniël Maarleveld. What does differentiate that from classic handwriting? Well, because in handwriting, the constant of the shape is not equal: the movement of the line needs to change for creating different symbols and letters. So let’s take this as a focus of research: what are other systems of one movement fonts? How do they work and why did the designers decide to create it. Why would it be attractive to create these type of font? And how this repetition implies the body – after all, these repetitions of movements for making a font with a thread come from a body movement. I found this guy on the internet yesterday, his name is Kosuke Takahashi, have a look at his twitter. It’s a bit different from our first trough but in a way, his work is still around our question of movement and repetitive font. 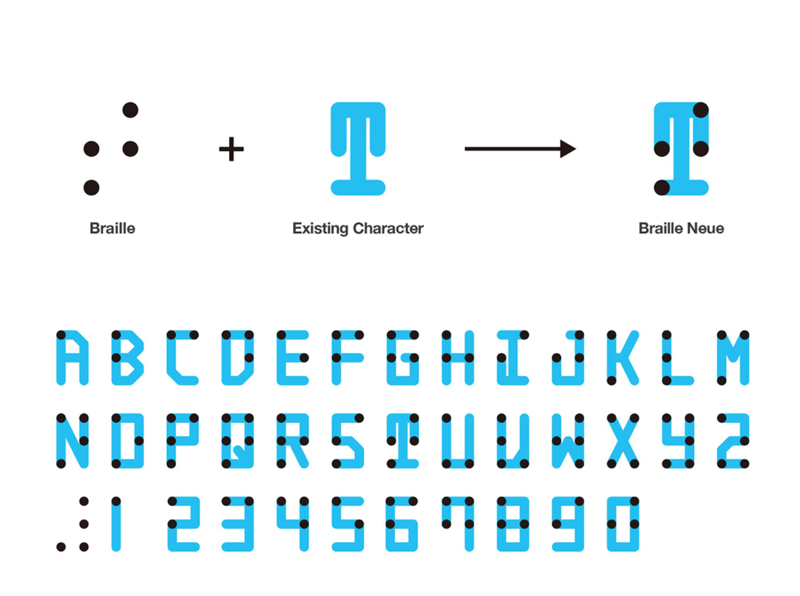 He’s trying to make a font relating Braille alphabet and “visual” alphabet (the international one and the Japanese one). Tell me what you think about! I think its super interesting topic, I feel it’s a deconstruction of writing into a smaller concept, somehow like if the letter was an atom, and then we go from there to the electrons, I feel the construction of the atom by the constant movement of electrons resonates on the construction of a letter based on one repetitive movement. 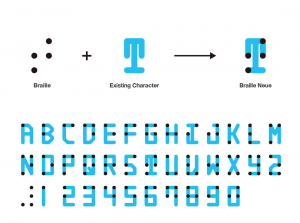 Kosuke Takahashi looks very amazing, a new idea of integrating both alphabets, finding the common link between them. 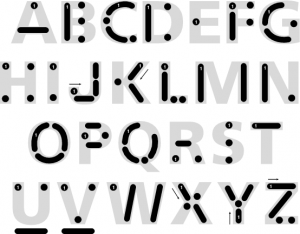 I also thought about the performative movement for language and got into morse code as a performative alphabet. It all is based on repeating one movement, constantly. Found out two Spanish cyborg artists, Moon Ribas and Neil Harbisson have done a performance with morse code, just speaking by biting. Both of them had a Bluetooth tooth, which vibrated on the other’s mouth. I find it pretty interesting how morse code could be taken to other levels of language nowadays. Also here you can find more information about their other cyborg art. Not only with technologies but also in other artistic fields, I was investigating about graphic design and looks like there’s also a visual co-relation to the dashes and the dots of morse code when it comes to visual arts. 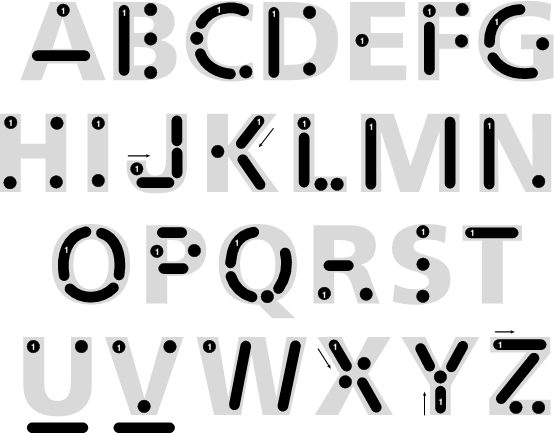 There’s an alphabet that visually explains or adds morse to it, maybe it could be a way to represent morse code in a graphic design way. So this tree explains the formation of the translation of a letter to morse code, constructed step by step from an element with another to articulate a sign, which will articulate a language with other signs. Like cells, let’s say? In the field of art, precisely in music, it reminds me of two things. This first is a bit famous, Glenn Gould. He’s mostly known for his interpretations of J.S. Bach’s. Goldberg Variations. 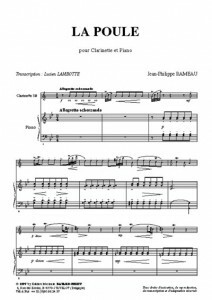 If some find his way to play piano extremely cold and mathematics, I actually found his play a clear way to “ear” a partition and understand the composition of the music. I don’t know so much about music, but he seems to me “cutting” the sound in different states that I can visualize better the written language the sounds come from. For being honest, he’s the musician who made me understand music in general and appreciate contemporary electronic music. And probably not by accident : In contrary to most classic interpret at that time, he decided to work his play for the recording more than making concerts, implying on the fact that people who would listen to his music would need to manage their radio and sound at home, and in that way, his public would need to participate in the music to make it each time their own. 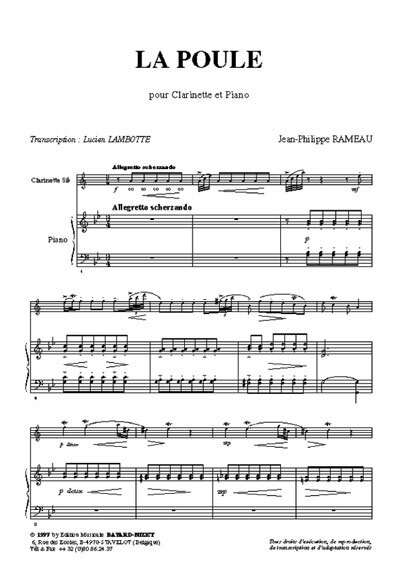 Another example is this partition for Jean-Philippe Rameau, La Poule (The Chicken). He’s a composer from the end of the 15th and beginning of the 16th century who made this research of repetition in music. As you can see the partition, the notes are constructed (as we said on the morse code and Braille alphabet) in a repetitive way while creating a system. 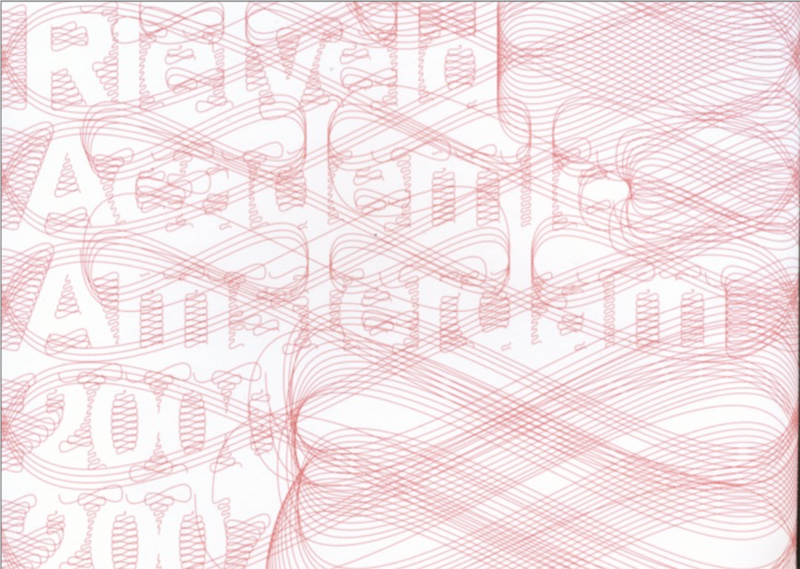 Visually, it seems extremely repetitive, and quite modernist. But the result is playful. Let’s say that creating an organized system of codification does not involve making something serious with it, haha. Here is a video of the performance by Grigory Sokolov, I really enjoy watching the movement of the body around this play. In general, all these elements that are summed up here have in common the fact that they are all performative, or better said, all the research comes to a common field which is the performance. Not only is it about reading or writing anymore, but also about acting. The movement becomes an essential part of all of the elements. The typography is not anymore about reading/writing communication but also about expressing it with other parts of the body, some of them not vocal, or even with external elements.